Have you wondered why your witnessing falls flat and people fail to respond? Many comment that science has disproved the Bible and therefore it is not relevant to today‘s modern world. But what’s the answer? Can the majority of scientists really be wrong? Evidence for design abounds. Even some ardent atheists acknowledge this, but they deny the need for a Designer, attributing it to ‘evolution’. Modern science reveals design that ‘shouts out’ that God created, as the Bible says. Many reject God on the basis that he must be a cruel god to allow the terrible events and suffering that we see in the world today. Could you answer this? Find out how you can use this question, and more, as a powerful tool to reach others for Christ. 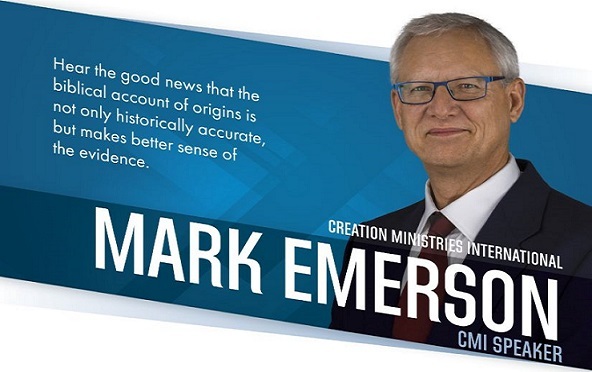 Discover answers to these questions as Mark Emerson presents some of faith-affirming evidence that will astound you in his powerful message The Clash of Two Worldviews at 10.00am on Sunday 31 March.